Floyd Tillman performs "Slipping Around"Live Video. "Slippin' Around" is a song written and recorded by Floyd Tillman in 1949. The most popular recording was a cover version by Margaret Whiting and Jimmy Wakely which reached number one on the Retail Folk (Country) Best Sellers chart.It is a song about a person cheating on his/her spouse. 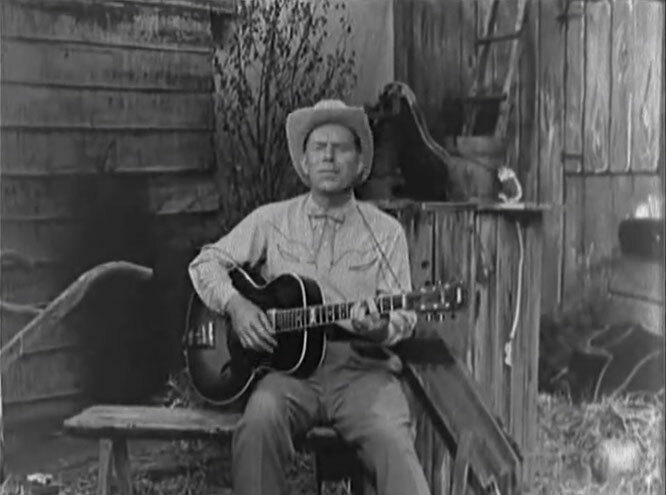 Tillman wrote a follow-up song, the same year, with essentially the same melody, called "I'll Never Slip Around Again" in which the cheater has married the one that he/she cheated with, and is in turn worried that he/she is being cheated on. Tillman, as well as Whiting and Wakely, recorded this song as well, as did Doris Day.